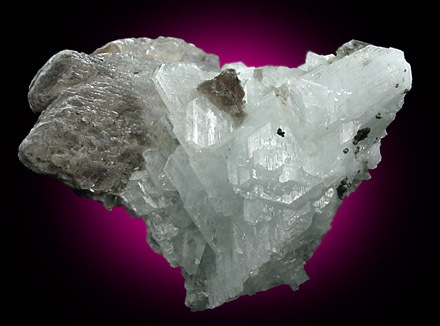 Description: Beautiful translucent pale-blue cleavelandite crystals up to 2 cm with muscovite and quartz. 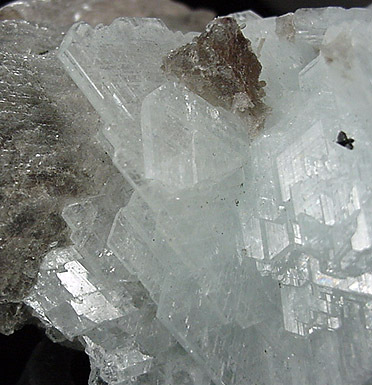 One area on the specimen has small 1-2 mm ball-shaped muscovite crystals. Hard to photograph, must be seen in person to be appreciated.